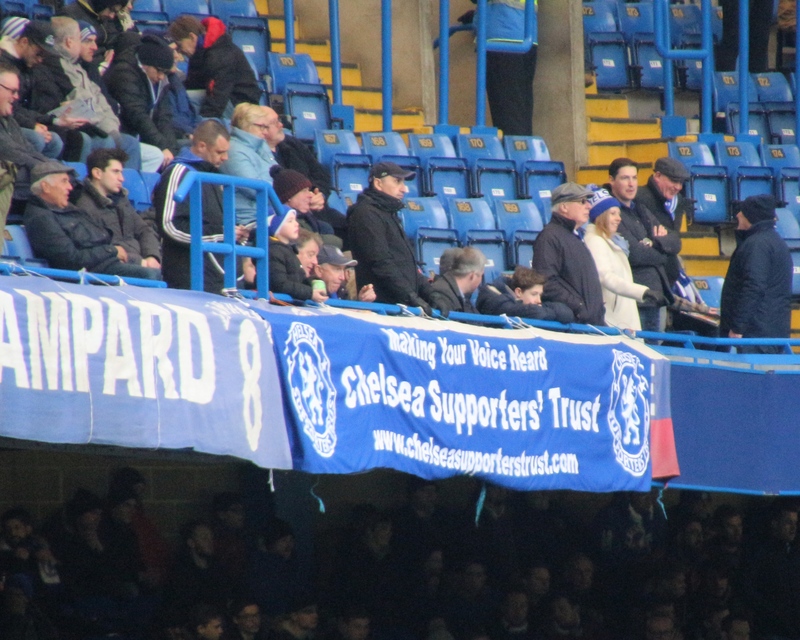 Despite the highly chastening few days Chelsea have endured on the field, there has been plenty happening with regard to Chelsea Supporters Trust activity. As we advised in the last newsletter, finding suitable rooms to hold CST Special General Meetings after home matches is proving almost impossible. The Finborough Arms now has other events in the evenings and other potential venues are not available. To ensure we deliver on our commitment to member dialogue, therefore, we will be holding a Virtual General Meeting from 19.00 this Wednesday 23rd March. The VGM will last 60-90 minutes and will cover current issues we believe to be of relevance to our membership. You can listen in to the VGM, using facilities provided by the Chelsea Fancast, by clicking this link. You can also email questions with subject header VGM to email address: enquiries@chelseasupporterstrust.com . You will almost certainly have seen that Chelsea have announced a freeze on ticket prices next season. You will also have read about the £30 cap on away tickets, which will significantly benefit our travelling supporters. Here is the link to the Club announcement which was made a couple of weeks ago. The CST board issued a statement in response to the announcements which can be found here. The end of away ticket categorisation is particularly welcome, as it was clearly and indefensibly discriminatory against supporters of the ‘big’ clubs. As our statement says, the £30 away cap needs to be the beginning, not the end, and national campaigning on ticket pricing will rightly continue. The Premier League (PL) away cap announcement shows what can happen when Supporters Trusts across a range of clubs work together. We also make the point about the need for intelligent pricing in both the proposed temporary move and in a redeveloped. The CST are pleased to be involved, with the club, the Friends of Brompton Cemetery and official Chelsea historian Rick Glanvill, in the Chelsea Founders Maintenance Project. As part of this project, a clean-up of some of the Chelsea-related graves in Brompton Cemetery has been organised for Saturday 26th March at 11.00. There are a number of graves closely associated with Chelsea FC and several of these are inaccessible due to overgrowth. Chelsea Football Club has kindly agreed to provide us with any tools and safety gloves we might need. More details are given here, including how to take part here. We would encourage as many CST members to participate in this worthwhile activity, helping to preserve and promote the heritage of the club. As part of a wider, detailed piece of work around future ticket pricing we are carrying out research into the increased costs and times taken to reach each of the potential temporary stadia to be utilised while Stamford Bridge is being rebuilt. When this work is complete we will share it with the club, and also with our membership. There is a danger that the primary focus will only be on the redeveloped stadium, but clearly an absence from Stamford Bridge for a minimum of three years is likely to have significant impact on match-going supporters. The announcement of the rescheduled April TV fixtures was made later than the supposed deadline of six weeks. This delay in making that announcement, largely caused by the TV companies, happens all too often and causes inconvenience and unnecessary cost to supporters who cannot book travel, make family arrangements, taken time off work etc. We raised the issue with the PL, who gave us a revised date that they did adhere to. When PL trusts next formally meet PL representatives we will again reiterate the importance of adherence to the published deadline. The Sunderland away game scheduled for Saturday 7th May is the only remaining Chelsea game that could be moved and, because of the distance and cost involved in travelling we will reiterate to the PL the importance of adherence to the agreed deadline. The next Chelsea Fans Forum is on 20th April. 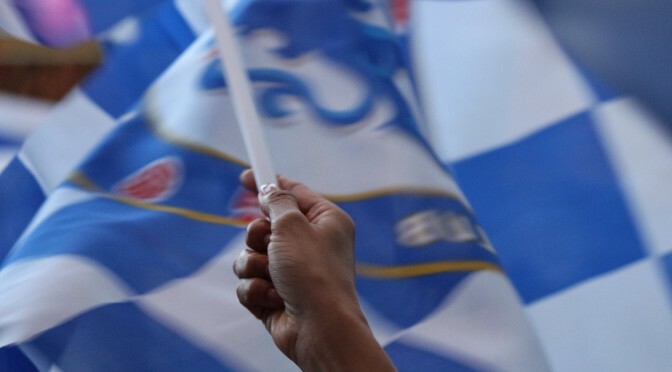 If you have any issues you would like raised by our rep Debbie Coady, please let us know at email address enquiries@chelseasupporterstrust.com with ‘Fans Forum’ as the subject header. Following a campaign by the Football Supporters Federation and a lot of hard work by Tim Payton of Arsenal Supporters Trust, the FA have agreed that each team competing in the FA Cup Final should get an extra 3,500 tickets, which is clearly good news. A CST representative, together with reps from Arsenal, Spurs and Liverpool trusts, saw FA executives on a range of issues including final ticket allocations a couple of years and it is very pleasing that this issue has been successfully taken forward. You can read about this here. It is worth remembering that in the 1967 FA Cup Final, Chelsea and Spurs only received 16,000 tickets each so the situation has certainly improved over the past fifty years, though clearly in an ideal world the two clubs would get the vast majority of tickets. 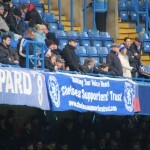 The long-planned CST banner made its debut against Stoke City, on the Upper Tier of the Matthew Harding Stand, as this photograph shows. A PDF version of March 2016 Newsletter can be downloaded here.